This is the first game in the Fable series. 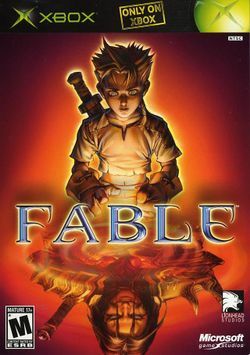 For other games in the series see the Fable category. Fable (originally Project Ego) is a 2004 Xbox RPG developed by Big Blue Box Studios and published by Microsoft Game Studios. It was followed in 2005 by Fable: The Lost Chapters, which added new content that continued the storyline after the previously final boss was defeated. A sequel, Fable II, was made for the Xbox 360. This page has been accessed 69,303 times.